With the Internet, you can practically access information anywhere and on the webmasters side, to make your information, service or product available anywhere. The hard truth is that the same thing is tried to be achieved by similar companies, in UK, India, Austria, Germany and many other places. 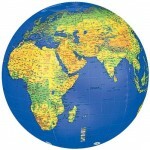 They all know that people around the planet can buy their product, and they market it worldwide. It means that the competition is very hard and you may seem it too expensive to market your website or product to the entire earth population. You need an advantage, to stand out from the crowd. You may think that if you provide the greatest service at the lowest price you will win the biggest part of the market. Wrong! To provide the greatest product you need too much money and there is always an Indian available for a lowest price. You need something better. You need to stand out from the crowd locally so you can sell more globally. How is that ? If you are able to provide the best product or service from a category in United Kingdom ( which is much easier to achieve than to provide the best product globally ), you can use this to market your website to the whole world. People will be happy about your service and will recommend it to others. When other users search for reviews about your website there will be enough of them, and the best part, what the tag-line: “The number 1 product in his category from United Kingdom” means to your sales ? To conclude this: You need to be very good to a small market before moving on. How to achieve this ? Well, there is not any shortcut be one of the best in a topic or an area, but it is way much easier that to achieve this globally. Think about facebook, they started very small, then grown step by step until they reached the masses. You have to know what peers in your area want and to provide them the best service they have ever tried. Then, build up your awareness in the area so they will know about you. Since you are targeting a smaller market it should be easier. To do this you have to be active locally, and see what works better for that specific market. For example, if you want to to great seo for UK market, then you homepage should be a UK Webmaster SEO Forum . Then take advantage of the best promotional products in your are on a local Webmaster Marketplace. While building up awareness, make sure you hear your local people voices and build the best product for them. After you get into your place locally, you can start hunting other markets. It will be much easier because you will have a great product, a visitor base, and a whole satisfied local market.